CultiCave, it’s all the rave! And the HortiHood is also good! Introducing the CultiCave and HortiHood Mini Plastic Greenhouses! One of the advantages of being the boss of your own company is that you get the chance to be the first to try out new products. Rob McAlister, MD and chief inventor at Cave Innovations lives in a small terraced house near the centre of Leighton Buzzard in Bedfordshire. 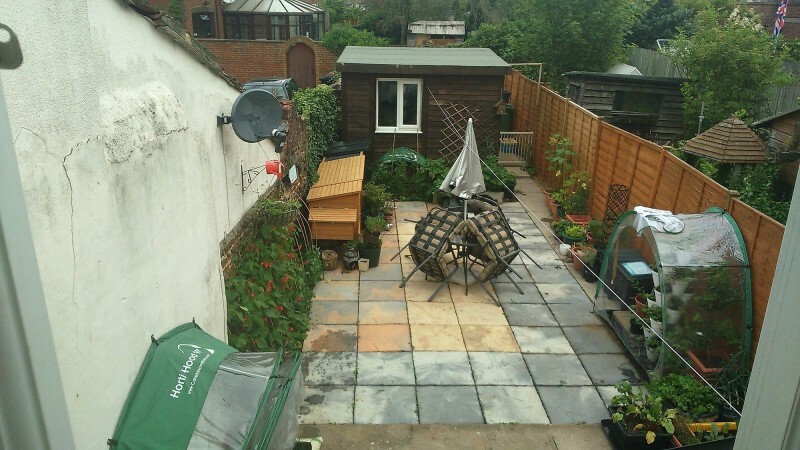 Like many urban houses, the garden is quite small. Space is at a premium and it’s for people in a similar situation that many of Rob’s inventions are created. 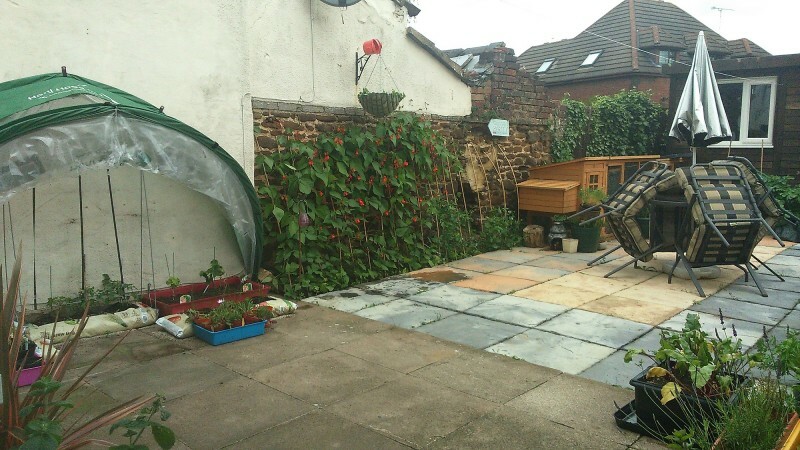 Take a look at Rob’s garden – well actually, to be fair it’s really his wife Debs who is the keen gardener. 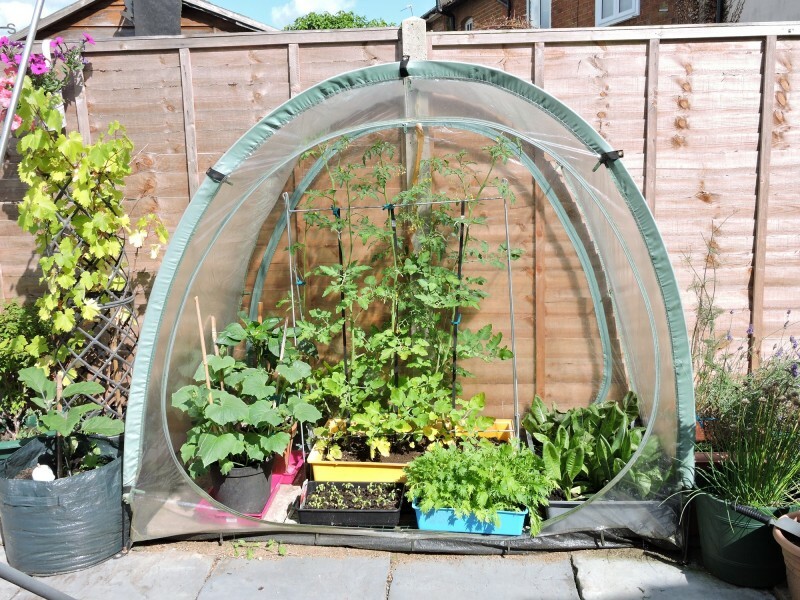 The following images show the CultiCave zip-together, modular greenhouse system and also the HortiHood 90 wall-mounted folding greenhouse, which have been in the garden for about 3 years now. 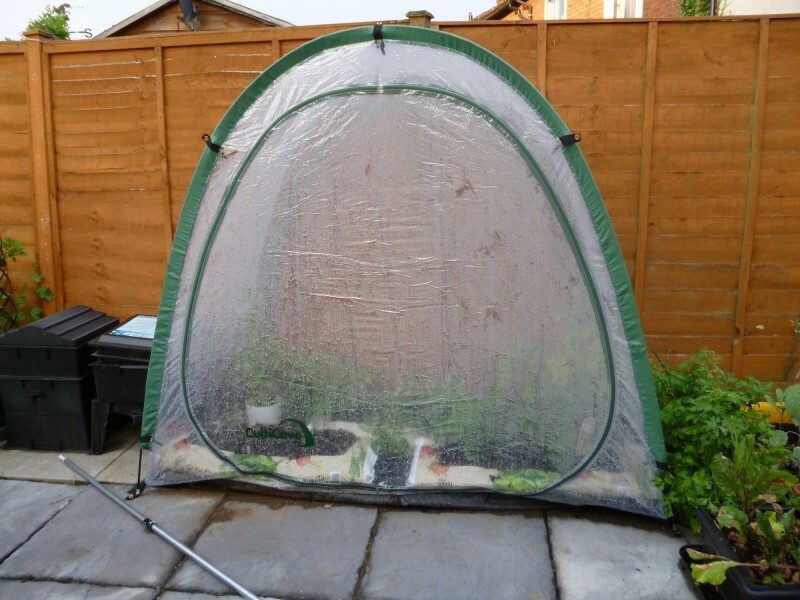 A view of the whole garden – note the HortiHood 90, the CultiCave, the HortiHood Mini 90 and also the Silverback UV Garden Parasol. Well, that was last year. 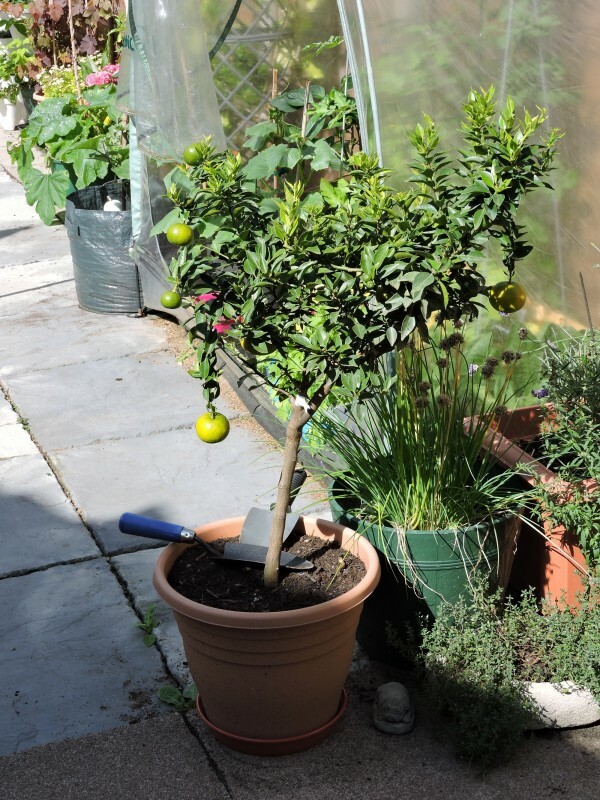 This year Debs has had a bit of a change around and as you’ll see the garden is really blooming. 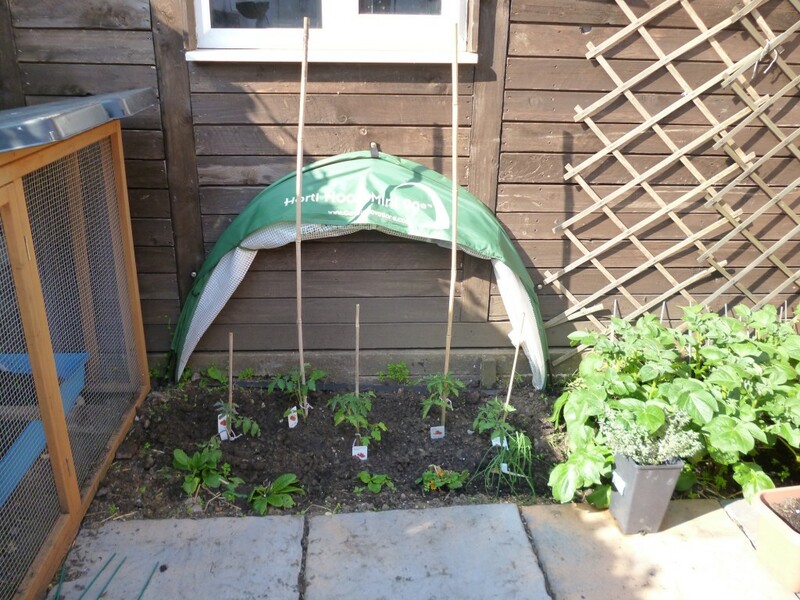 With the HortiHood canopy down warmer temperatures really bring on and protect those young plants and seedlings. “This year the CultiCave is really earning it’s keep. In there I am growing; lettuces, tomatoes, peppers, cucumbers, mizuna (a salad leaf), radishes and I also have a few sorrel and spinach seedlings in there. On very hot days change the CultiCave door to the mesh net door to ventilate yet maintain protection from insects and birds. 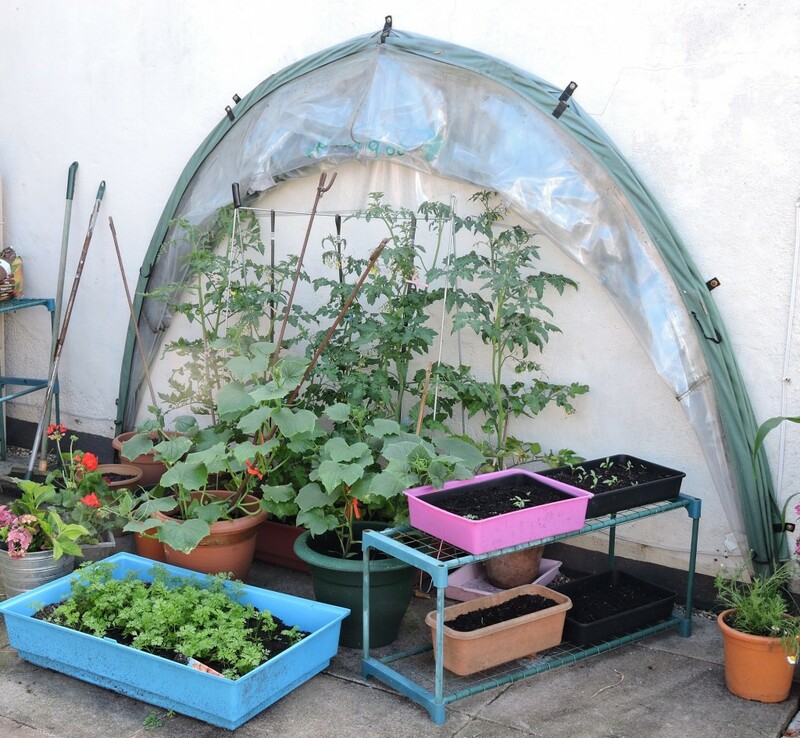 “In the HortiHood 90 I am growing tomatoes, cucumbers, courgettes, atlas carrots, and some ‘super food’ moringa oleifera trees. 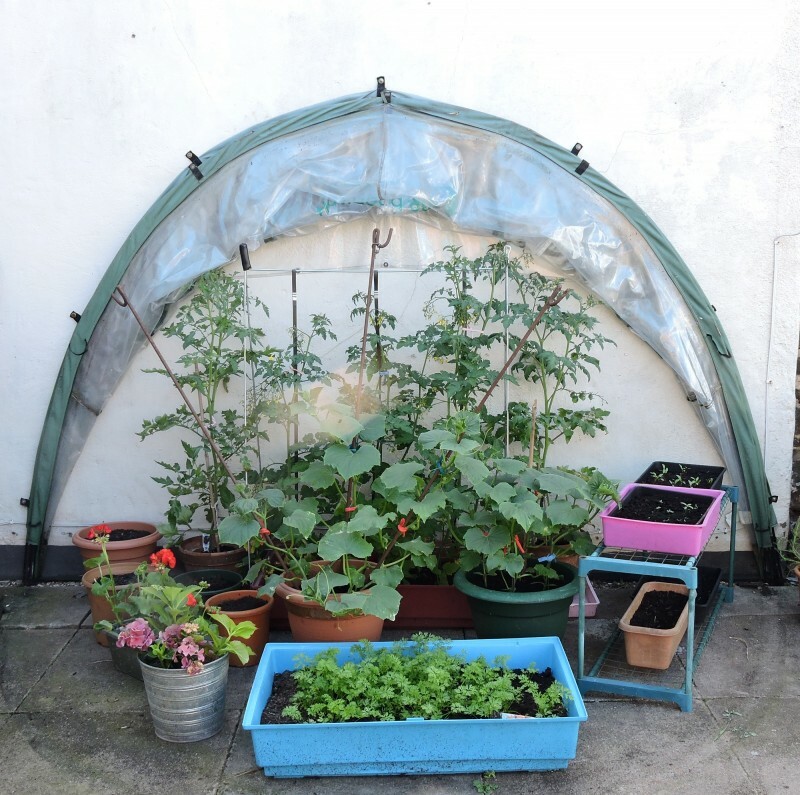 So there you have it – proof, if you needed it, that plastic mini greenhouses make a real difference in the small urban garden. 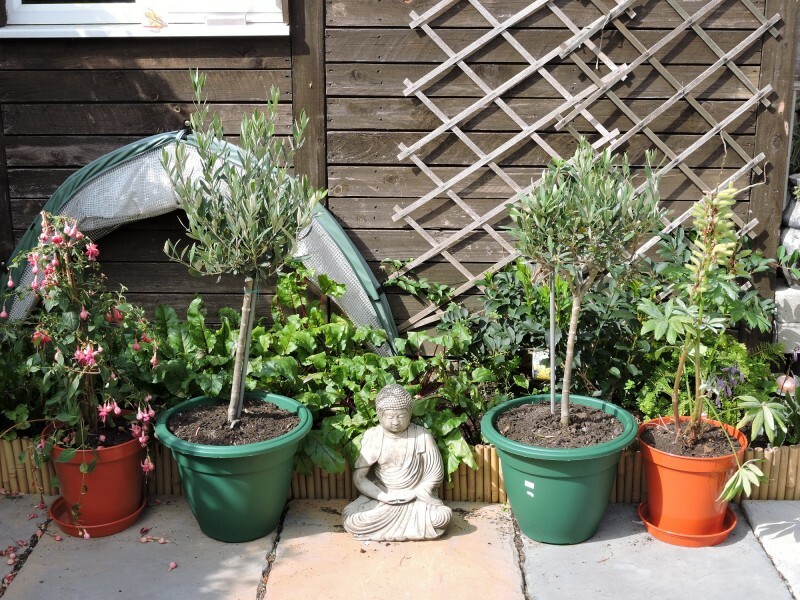 Watch this space – more updates from Debs as the season progresses. The CultiCave and HortiHood Mini Plastic Greenhouses really are a truly unique and innovative product, suitable for any budding gardener! 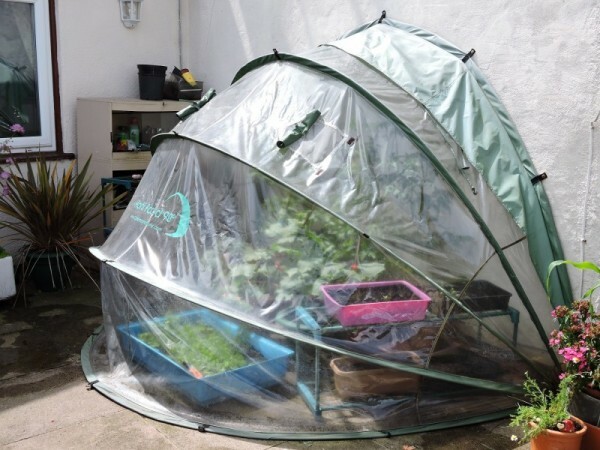 here for the HortiHood 90 wall-mounted folding greenhouse. CultiCave and HortiHood – clearly a better way to grow!